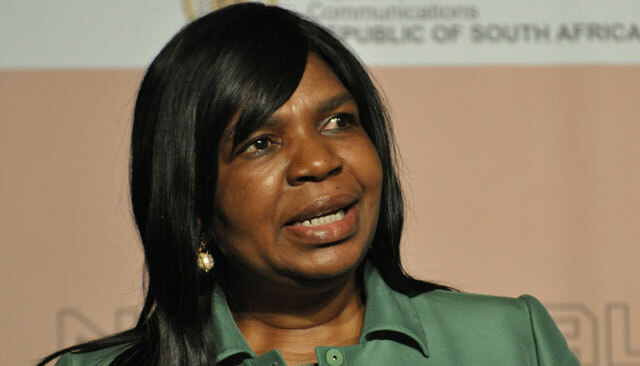 Communications minister Dina Pule is set to present three separate options next week to cabinet on the future of Telkom. Pule’s spokesman, Siya Qoza, tells TechCentral that he is not in a position to communicate what the three options are ahead of the cabinet meeting, set for next Wednesday. The cabinet had given Pule until the end of August to provide a report on what should happen to the listed fixed-line operator, in which government continues to hold a direct 40% stake. “The minister and her colleagues at the inter-ministerial committee have worked very hard with government officials and Telkom to trim the list of options to three,” Qoza says. The committee is made up of Pule, defence & military veterans minister Nosiviwe Mapisa-Nqakula, finance minister Pravin Gordhan, public enterprises minister Malusi Gigaba and state security minister Siyabonga Cwele. One of the options that may be on the table is the renationalisation of the company by means of government buying out minority shareholders and delisting it from the stock exchange. Telkom was partially privatised in the 1990s and was listed on the JSE in 2003. Nationalising the company would fly in the face of best practice the world over, where governments have moved to liberalise their telecoms industries by reducing and then completely selling their stakes in their incumbent fixed-line operators. Qoza says government views Telkom as a “strategic asset in the roll-out of [information and communications technology]infrastructure in the country and is moving with speed to find a lasting solution that will make Telkom sustainable”. Telkom said at the end of May that Pule had told the company that cabinet had decided not to support a proposed transaction to sell 20% of Telkom’s equity to Korea’s KT Corp, despite the two parties engaging in more than nine months of due diligence. Telkom management was taken aback by the cabinet decision to block the deal, especially given that a former communications minister, the late Roy Padayachie, had broached the idea of the deal and introduced the parties to one another. Telkom’s share price has come under significant pressure in the past year, falling sharply again after government effectively blocked the deal with KT Corp. Telkom listed on the JSE in March 2003 at an issue price of R28/share. In midmorning trade on Tuesday, the counter was changing hands for R18/share. The share has lost nearly 50% of its value in the past 12 months, partly on investor concerns about the state’s continued influence over the company.